It’s no fun being in debt. Creditors want to chase you, the debts increase as you procrastinate about paying them, and you literally feel “indebted” and guilty, especially if those creditors are friends or family. There are studies about the effects of debt on personal well-being. Micro-economists have also gathered evidence that poor people are the most likely to be caught in vicious cycles as the stress of being in debt limits rational decision-making capacity. Hence, many countries have national debt helplines people can call to get objective advice on their financial problems. And more and more foreign aid is being targeted at mental health services for poor people. Yet when it comes to debates about debt at the national level, little empathy is expressed. Be it Greece, Sri Lanka, or Mozambique, when richer national governments, international organisations – such as the International Monetary Fund – or non-government organisations purport to be concerned about the debt status of such countries, the impression is very unequal. Poor countries are chastised by the responsible “grown-up” partners for their financial mismanagement. 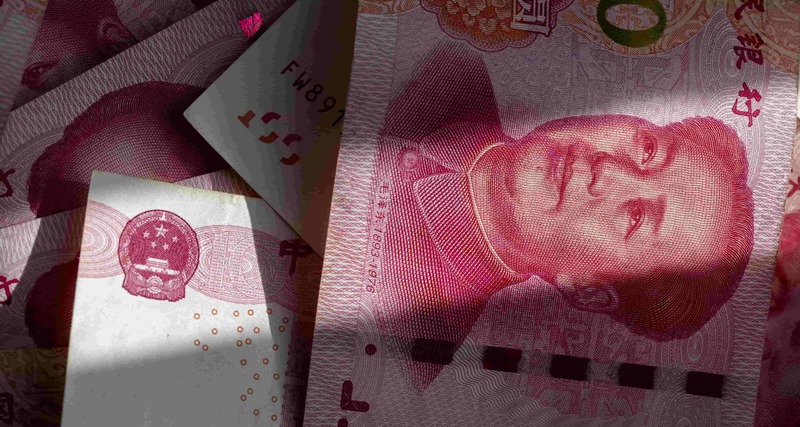 Several politicians and commentators in Australia have fallen into this unequal narrative recently, in particular in regards to taking and using loans from China. Most recently, Australia’s International Development Minister Concetta Fierravanti-Wells alleged that China is supporting the financing of useless, white-elephant projects in Pacific countries. Since the 1970s, many developing countries around the world have taken-up a range of loans from Chinese banks, in particular to finance much-needed infrastructure projects, from buildings to power stations, new roads, and railways. However, little is known about the size of these loans and repayments at a global, cross-country level, or about their impacts, because Chinese stakeholders do not publish this information. Where such figures are available, they are released by the countries themselves (for example, Fiji’s announcement in 2017), or released in aggregate form on Chinese outlets, so it is difficult to understand their practical implications. For instance, back in 2010 it was announced that China’s accumulated debt cancellation for heavily indebted and least developed countries amounted to just under US$34 billion. But no country list, breakdown, or context for this figure was provided. The Chinese Government’s response to accusations, such as that from Australia, tends to be defensive and refer to a time-old narrative of “the West” meddling in China’s and other developing countries’ affairs. However, there are numerous examples of developing countries seeking to renegotiate loan terms with Chinese stakeholders and requesting debt cancellations (Cambodia in October 2016, and Angola in June 2017), which cannot easily be dismissed as insignificant. This debate will only heat up over time, given that the sustainable development financing gap across the globe runs to more than US$2.5 trillion, while China itself has pledged to spend close to US$1 trillion globally through its flagship Belt and Road Initiative. In addition, countries receiving loans need information that will help them negotiate the best possible terms from China. For instance, 2018 will see Beijing host the seventh Forum on China–Africa Cooperation, which has run since 2000. At its last Summit in 2015, the Chinese Government pledged a $60 billion package of grants, loans, and debt cancellations. A further expanded package can be expected this year, but it’s unclear if African countries or other regions should welcome these kinds of offers. No objective, cross-country studies of debt from China and its implications have been carried out to date. The Jubilee Debt Campaign makes a good start with its global debt maps. These clearly demonstrate that debt is not confined to poor countries, and that debt owed to the private sector can be just as crucial a challenge to consider as debt owed to countries, including China. But much more is needed, including recommendations on how to ensure loans are spent as productively as possible. No individuals or countries ever enjoy being in debt. But in many cases, debt is necessary and can be helpful. The question of whether China is making debt easier to live with or easier to default on is still open, and needs answering quickly, with objectivity and empathy.